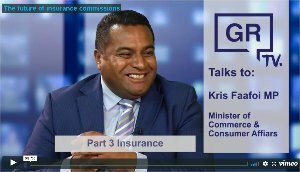 Commerce Minister Kris Faaoi talks to Philip Macalister on Good Returns TV about the future of commissions, law changes planned and churn. Its a laugh that Faaoi has already decided that high upfront commissions is not an issue. Australia has already done the hard work for us, cap commissions so the advisers stopped ripping us all off! Humans are humans, ridiculous incentives drive terrible outcomes. How, exactly, will they 'hear from consumers"? Genuine question. Track record on this is not great. @kmacnz you need some good evidence regarding your statements. If you look, you might find that in Australia churn has got worse, not better. Australia is also showing us right now with their Royal Commission that it's the providers who are the rip, not not advisers. Our FMA report into replacement and incentives showed that out of thousands of advisers, all of whom are subject to your alleged incentives, just 24 needed action over replacement business. Agree DH, sitting in the meeting last week with MP, CWG members and Advisers the clear message is commission isn't the issue. How the conflicts and conduct are managed yes, but how you are getting paid for doing the work is immaterial, everyone expects their adviser to get paid. It's how that works and what the conflicts are that need clarity. A salary and bonus's in a vertically integrated organisation with only one product is more of a risk to clients from inappropriate replacement than commission, yet people don't question that.